Coinkite, the creators of the Opendime USB Bitcoin Stick are back with another interesting piece of hardware for crypto users. Enter Coldcard, a new Bitcoin hardware wallet that is easy to be used, cheap, ultrasecure and open source… what more can you want from a hardware crypto wallet. 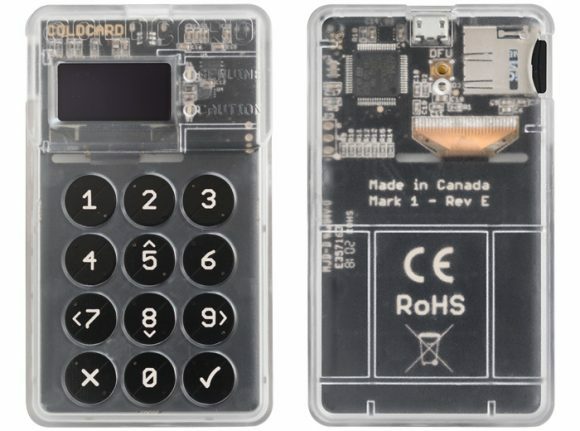 The Coldcard wallet features a large 128×64 OLED display and full-sized numeric keypad to make it easy for you to operate it and it can be used completely offline as it accepts standard PSBT transaction (BIP 174) stored on an MicroSD card and there is no special software needed on your computer either. The Coldcard Bitcoin hardware wallet is currently available for $69.99 USD and you can order yours now if you are interested from the official project website. The last time we have talked about what are the popular hardware crypto wallets the Trezor Model T was not yet available. Trezor Model T is now in stock and available for next-day shipping, so if you order your next generation wallet today, it will be shipped tomorrow and no more pre-orders or waiting time for the wallet to be in your hands. The new Model T comes with a modern and intuitive interface for improved user experience and security, it features a touchscreen, faster processor, and advanced coin support, as well as all the features of the Trezor One. Trezor Model T takes on the legacy of the original Trezor One hardware crypto wallet, becoming your secure Bitcoin hardware wallet (along with support for over 500 other coins and tokens) while further enhancing security, intuitiveness, and ease-of-use over the first generation model. 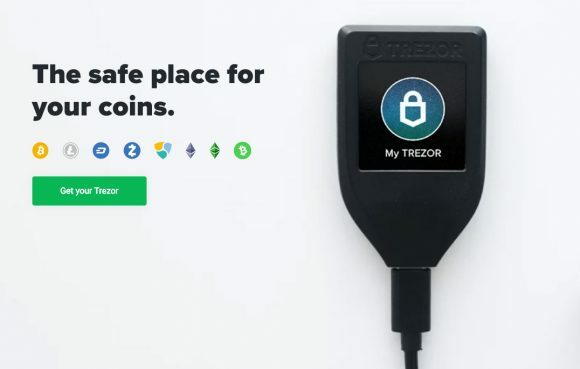 The new Trezor Model T is the next-generation cryptocurrency hardware wallet, designed to be your universal vault for all of your digital assets. You can store and encrypt your crypto coins, crypto tokens, passwords and other digital keys with confidence. The price of the new Trezor Model T hardware crypto wallet is 139 EUR without VAT, compared to the 89 EUR price of the previous generation Trezor One wallet that is of course still available for order. We often get asked about hardware crypto wallets and what we would recommend and yet we have not covered that topic much, so it is about time we do it. There are pretty much 3 main products on the market that have been available for a while and have proven to be a reliable and most of all secure solutions for storing your crypto coins. 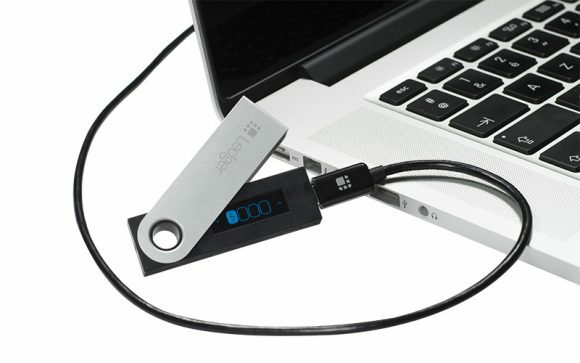 These three manufacturers of hardware crypto coin wallets are: Ledger, Trezor and KeepKey and which of them you choose is often more of a personal preference. The one we actually prefer and use is the Ledger Nano S, though the company also makes Ledger Blue, a more powerful, bigger and feature rich device that of course also costs more. We have not used or even tried the Blue model yet, so there isn’t much that we can talk about it at this point and it is also currently out of stock at the official website, so not easy to get at the moment. Anyway, one of the main reasons why we have opted out for the Nano S is the very compact size of the device, it is the smallest of all of the options with pretty much the size of a regular USB flash drive. 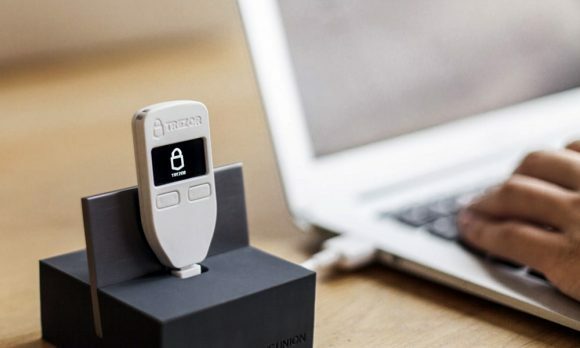 The Trezor wallet called also the Bitcoin Safe is the most common alternative of the Ledger Nano S, it is available in Black and White color and comes at almost the same price. Trezor is also working on a new improved model called Model T, though that one is not freely available for sale, currently still fulfilling pre-orders at the moment apparently. The Third option in the form of the KeepKey hardware wallet is probably the least popular of the three options, but that does not mean it is inferior to them. It is a bit different in how it looks, offering a more modern clean and sleek design and very similar functionality as the others at pretty much the same price point. We are not trying to do a review of the different crypto hardware wallets covered here, we are just pointing the options available, so you can take a look at them and decide which one better suits your needs. Again, we use the Ledger Nano S, but that does not necessary mean that it will be the one you will like the best or that it will be the optimal solution for your needs. Just take a look at the available options and see what works best for you, they all work for all of the main crypto currencies, but there are some differences in the level of support of not so popular and newer ones. 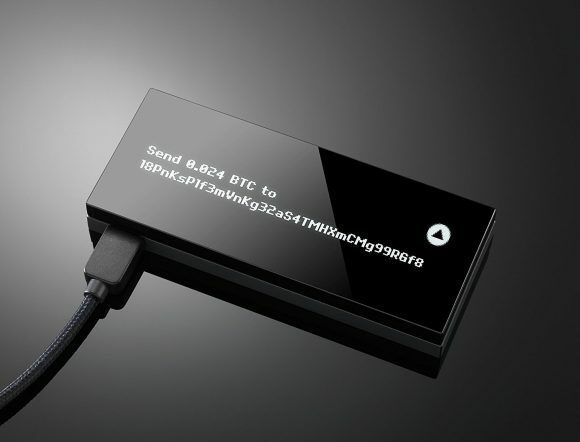 What you need to be extra careful with is where you purchase your hardware wallet from, the best solution would be to go directly from the official website getting it from the manufacturer of the device. You can also check the list of official resellers and purchase from any of them, especially if you have a local company that sells them, just make sure they are listed as official reseller. It is not wise to look for a cheaper price and purchase from eBay or any other unofficial source as there could be unpleasant surprises that you get along with your hardware wallet. When you get the hardware wallet make sure it does not come pre-initialized with any printed security key or something like that, you need to initialize and generate the private key yourself on the device (if not sure you can always do a reset before you start). If the device comes already initialized (it should not come like that!) somebody else probably already has your private key and can use it to steal the coins you store and we are pretty sure you don’t want this to happen.